Comparing to 5050 led module with lens,you can find the 2835 led is brighter than 5050 led but the price of 2835 sign module is better than the same profile 5050 led module. 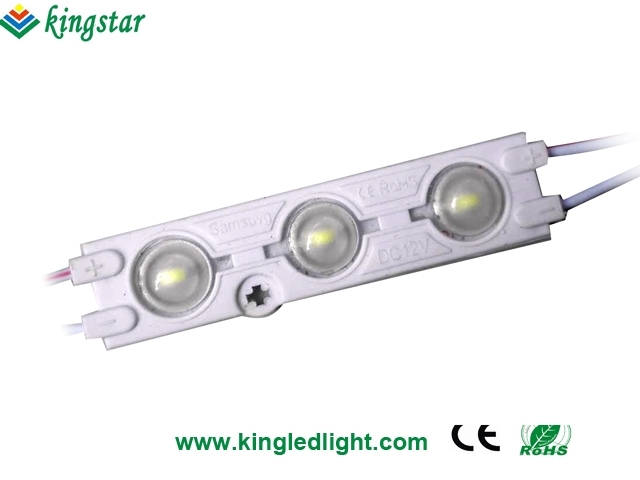 1.Utilize top 2835 smd led as light source,low decay. 2.Input voltage:12VDC.Power consumption is 0.72W. 3.Water-resistant injection led module with IP65. 4.Because of special lens,the viewing angle of the module is 160 degree. 5.Easy mounting,can be fixed by 3M tape. 6.Good heat dissipation with 1.6mm thick aluminum PCB. 7.70*15.8*6.8 mm perfect for large signs. 8.Long lifespan above 50,000hours.3 years’ warranty.